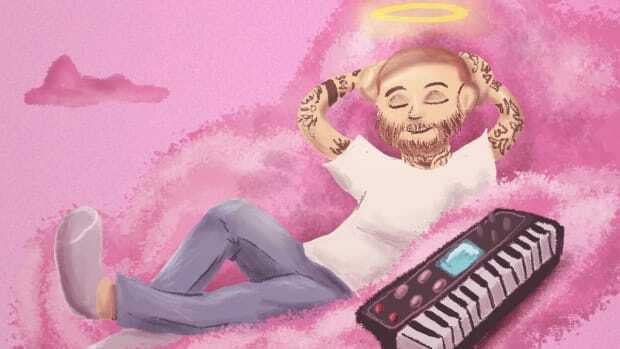 Mac Miller entered hip-hop rhyming about senior skip day and frozen pizza, the kind of rapper that reminded you of Zack Morris, full of teenage hi-jinks and easy living. He had fans across the states, touring from one sold out show to the next, but in hip-hop, breaking records and acquiring riches doesn’t equate to respect. There was no mercy for the baby face that rapped over Lord Finesse and Nas samples, a few critics and a lot of hip-hop fans exiled him to the outskirts, popular but unaccepted, a both lush and desolate land where you will find Macklemore and Iggy Azalea. In two days, it will be the five-year anniversary of K.I.D.S, the mixtape that transformed Malcolm McCormick into Mac Miller. 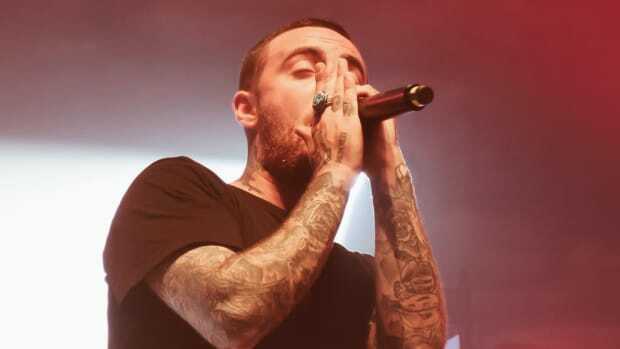 It took Mac Miller that long to gain my respect as an emcee and artist. He was just a boy, the music reflected his life, attracting those that connected with his adolescent in Pittsburgh. The parties, the smoking, the drinking, music that blends perfect with Asher’s “I Love College” and Wiz’s “This Plane.” There was fame and fans, his career could’ve been nothing but “Donald Trump” and “Best Day Ever,” the supporters would’ve loved it. He could’ve kept his reality show on MTV 2, continued to have outstanding ratings and been the next Rob Dyrdek. Except he wanted to be a rapper, accepted as an emcee, and so he started to make the kind of music that reflected this desire. He moved away from Pittsburgh to California, surrounded himself with drugs, jazz records and the kinds of artists he wanted to be. The boy officially became a man. It was so dark that he completely split from the image of his past. It’s the hardest stage of growing pains for an artist that finds success as a child or teenager. 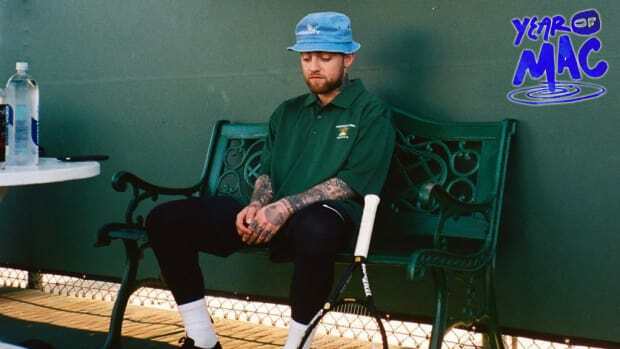 The transition is never smooth, especially when your fans want you to be who you were, and I’m hard pressed to name another rapper who successfully went from teen sensation to respected adult, but Mac Miller seems poised to do just that. To break away he had to be drastic, so Mac went drastic. He showed change on his sophomore album, Watching Movies With The Sound Off, not quite there yet but the potential was glowing, there was obvious signs that he would be a capable rapper. Faces solidified that his potential had morphed into undeniable prowess for words. If he could just survive the hard drugs, he would be a force to reckon with. 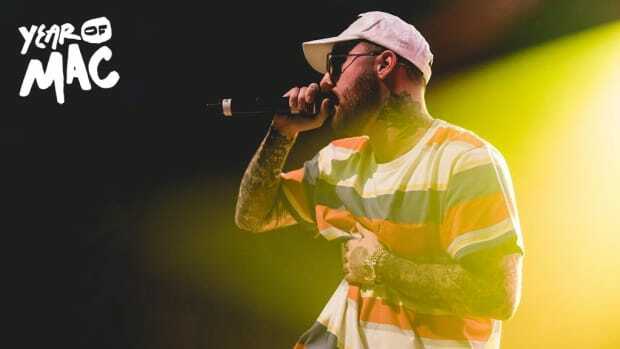 Mac Miller’s unlikely journey to respect has come in large part by encircling himself with great rappers. He made music with Ab-Soul, Da$h, Retch P, Sean Price, Sir Michael Rocks, ScHoolboy Q, Earl Sweatshirt, Vince Staples, and it was all good. It was a surprise to hear him on Freddie Gibbs&apos; Piñata and Royce Da 5&apos;9" side project PRhyme, my mind blew out my ears listening to him rap with Action Bronson and Jay Electronica, EZ Mac somehow scored a feature from the Jedi Electronica. 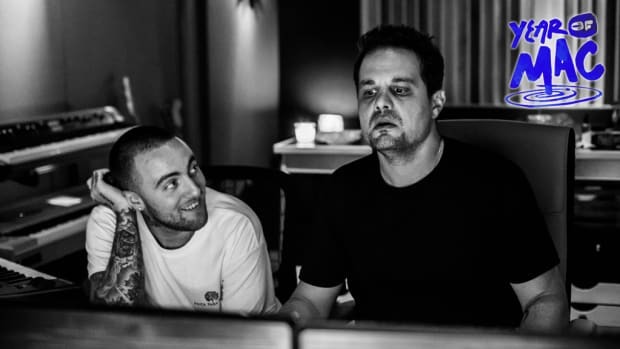 These are respected emcees, known for destroying beats and being upholders of quality hip-hop, and they stamped Mac Miller. He proved himself. Not only his raps but the Larry Fisherman production has come a long way. With each new song, it was harder and harder to dismiss him. 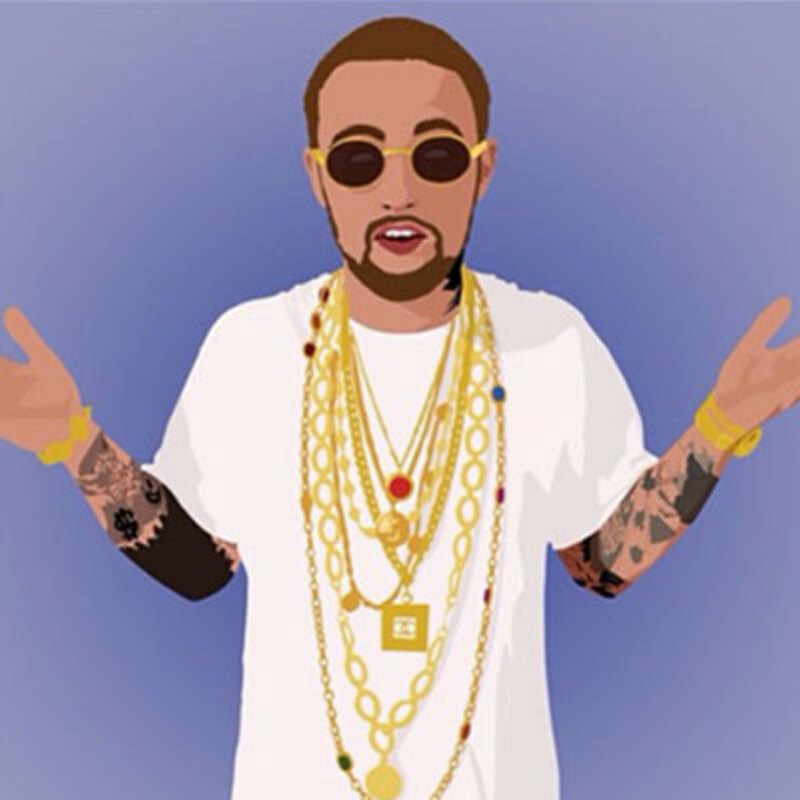 It was recently announced that Mac Miller&apos;s next album, GO:OD AM, will be released on September 18, the first offering from his reported 10 million dollar deal with Warner Bros, the first time Mac has ever worked with the major label machine. He’s also under new management, 4 Strikes, better known as Chris and Kelly Clancy, the couple that manages Tyler and Odd Future. 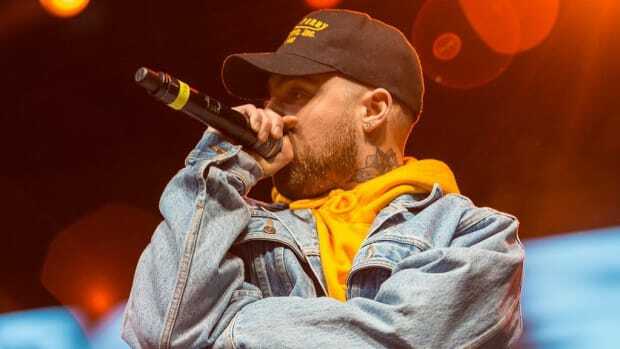 The new single, “100 Grandkids,” solidified that Mac Miller is ready to rank with the respected. It’s not his strongest lyrical expedition, but he has come into his own, finding the balance of being a great rapper and making music that can cross over without it being brutally unbearable. How can you hate a song that interpolates Diddy’s “Bad Boy For Life?” Sha Money XL brought strong production, it’s a nasty switch up at the end that is glorious. We’re still in the age that looks upon album sales to indicate an artist&apos;s stature and likability. 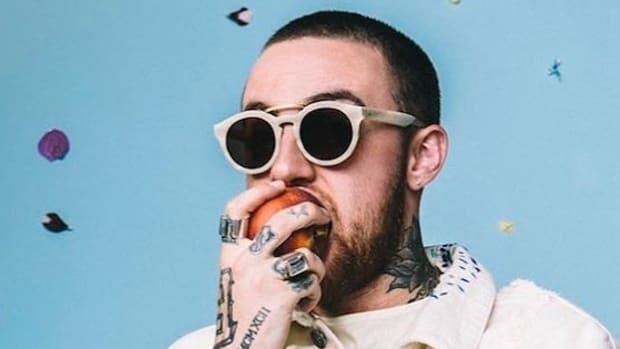 I’m not sure if Mac Miller’s next album will sell well, he has spent the last few years separating himself from the shallow waters of mainstream music. 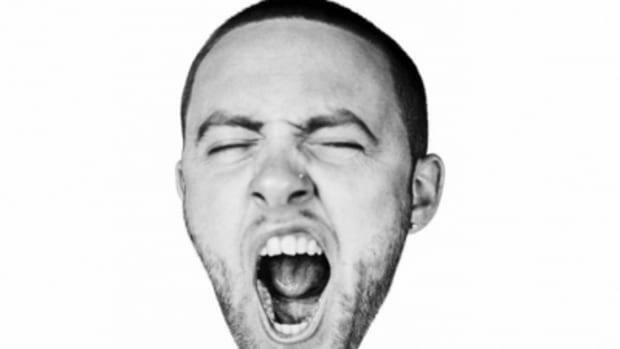 Regardless, I believe GO:OD AM will solidify Mac in hip-hop. He loves the music and the culture, and contributing something that the music and culture can appreciate. He’s going to join the conversations about the best emcees in the game. There will be absolutely no way to ignore his presence in hip-hop. He doesn’t belong on the outskirts any longer. "Subconsciously, I couldn’t play the album without fearing for his life."